A different kind of Photo of the Day. Here's a great photo by J.R. Eyerman taken in 1958 in Utah. Great photo!! 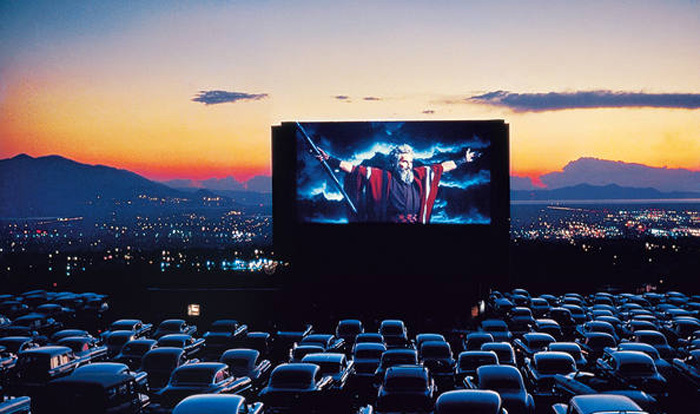 Where I live in PA we still have 2 Drive-Ins that do an outstanding business, 1 of them actually has 2 screens and is packed during the season, and the other just installed a bigger screen and also does outstanding business. A lot of their movies they show are those released that week or weekend. It's great for the families in are area and the prices are very affordable.